In June 2015, Carrie DeJongh went to the Sioux Center Community Health Center, which is located in Iowa, because she was experiencing an intense pain in her lower abdomen. The attending physician examined her and decided to order a CT scan to see what was causing the discomfort. The test results showed that DeJongh was simply suffering from mild constipation. But according to a medical malpractice lawsuit, filed on behalf of DeJongh’s husband and her four children, the negligence of Dr. Roy Slice, who administered the CT scan, led to her wrongful death. The plaintiff’s attorneys argued in court that the dye used for the CT scan caused DeJongh to suffer from an anaphylactic allergic reaction, which is not uncommon. But Dr. Slice’s decisions after the reaction was identified, allegedly caused DeJongh to lose consciousness and then go into shock. Dr. Slice ordered that the patient be given Benadryl to counteract the reaction. However, DeJongh’s attorneys claimed that an immediate dose of epinephrine would have saved her life. According to medical records epinephrine was eventually administered, but not until nearly an hour later, which was after DeJongh’s heart had stopped beating. The patient was temporarily revived, but she suffered from severe brain damage and died a few hours later. DeJongh was 40-years-old at the time of her death. After three years of litigation, the family could not come to a settlement with the health center, the doctor, or MMIC Insurance. After hearing testimony from both sides, the jury awarded the family a total of $29.5 million. 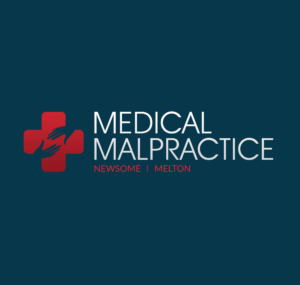 Last year, Iowa passed a bill that limits the non-economic payouts on medical malpractice practice awards, but the cap does not apply in cases of death. Each of DeJongh’s children were awarded $5.5 million, her husband is slated to receive $6 million, and the estate was assigned $1.5 million in damages for pain and suffering. What Is Locked-in Syndrome Like?